The Owl House is a comfortable, stylish and welcoming family 3 bedroomed detached villa sleeping 6. Situated in a quiet cul-de-sac with the rear of the property facing south creating a natural sun trap. 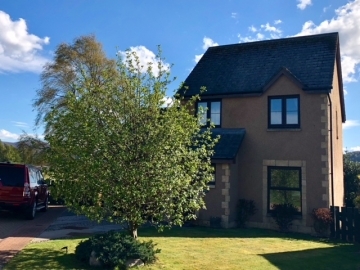 The house is furnished to a very high standard and offers uninterrupted views of the surrounding Cairngorms and open countryside. 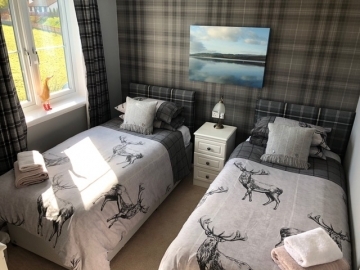 Located within a short walking distance of the village centre, railway station and River Spey, the house provides the perfect location whether to relax or enjoy a variety of outdoor activities in the Scottish Highlands which include skiing, snowboarding, climbing, mountain biking, water sports, fishing and walking in superb mountians. We offer use of three adult mountain bikes during your stay.